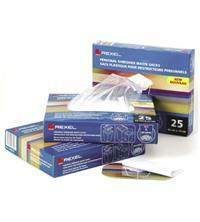 This pack of 100 AS1000 Rexel waste sacks are made from high quality polypropylene for strength. They are also perforated to let air out which is handy when disposing of shredded waste. Provided in an easy access dispenser box, these are ideal for your departmental and large Rexel office shredders.